Teknik Inc is your premier full-service Design Build Firm specializing in architecture, residential remodeling, interior and exterior design, landscaping, construction and custom homes. Based in San Diego, we provide the surrounding area with the home remodeling services that enhance any residence. Backed by over 20 years of experience, we are able to give life to your vision and ensure that your home is the star of the street. 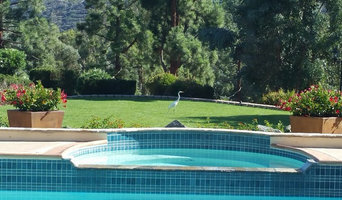 We are committed to being the best contractor in San Diego County. We assure our customers the highest quality services and complete solutions. Whether you're in search of a new kitchen, remodeling, a beautiful and functional bath, or just an entirely new look for your property, depend on us to enhance the quality of your interior and exterior surroundings. We guarantee excellent customer care with high-quality workmanship for fair pricing. Full Design/Build and Remodeling Company. Specializing in Kitchens, Baths, New Construction and Additions. Craft Interior Spaces Bathrooms | Custom Tile | Kitchens | Cement Plaster 20+ years trade experience. 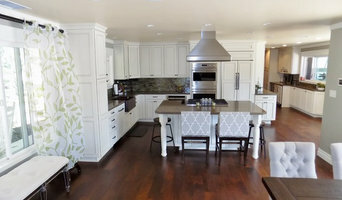 Specializing in cabinet refacing and new, custom cabinets. Opt for refacing and achieve the look and function of brand new cabinets without the associated costs and mess. Choose a new material, color and door style and let us do the rest! New cabinets are recommended when changing the layout is a must. Ask for Melissa Perez, to ensure the best possible service! 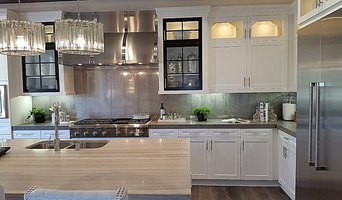 Specializing in Kitchen and Bath Remodeling, Wagner Remodeling is a small company which takes on big ideas. For more than 29 years we have been providing homeowners with very personalized service for projects both small and large. 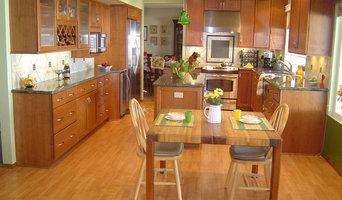 We build simple remove and replace remodels as well as complete customized kitchens or bathrooms. Whatever you can dream up for your bath or kitchen we can build with absolute perfection. We have a 5-star rating across the internet, all we do is make the customer happy! Established in 2003. Steve Janks has been in the construction/remodel industry from 1990 doing remodels and flipping homes. Janks Construction was formed as a licensed contractor specializing in kitchen and bath design builds. Incorporated in 2003, Janks expanded into a full remodel company. 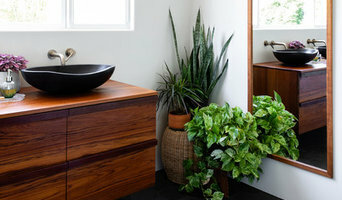 Janks is a smaller operation with more detail oriented service, specializing in kitchen and bath remodels. Janks has remodeled some of the most beautiful homes in San Diego. The team at Janks is committed to providing excellent customer service making sure every client's expectations are exceeded. Janks Construction is a kitchen and bath design/remodel company from simple bathrooms and kitchens to a second story master suite and home additions. We will design and build your dream space. Janks can provide the architectural plans and go do the permit process. We will assist with the tile/stone and cabinet designs, appliance, and plumbing selections. We help you through the entire process making sure your project is complete and to plan. Pedini has been producing luxury modern kitchens since 1956 and is known for its range and quality of materials. As one of the finest Italian kitchen design firms, they are committed to research and development, stay ahead of trends, bringing new finishes and concepts to the portfolio each year. Pedini’s modern kitchen and bath designs offer highly personal choices and allow for greater creativity in the design. The design team aim to create the best possible design solutions mixing superlative functionality and design with top-spec materials for the ultimate statement in fashion and style. Capri Stone specializes in the installation of Tile, Granite, Marble, Travertine, Limestone and Onyx. We can service new builds as well as remodels. Our more than 25+ years experience and knowledge contributes to the customer's overall ability to make the best decisions when it comes to beautifying their home with natural stone. Serving the greater San Diego area with over 20 years experience, Lumina Builders has become a top choice among home owners for their design/remodeling needs. Owner David pride on the highest quality of customer service. Their professional knowledge and keen eye for design assures a job well done. Lumina Builders specializes in the design and remodeling of kitchens, bathrooms, additions and total home renovation, both inside and out. With top quality finishes at affordable prices, you can feel confident that your home is in good hands. Our goal is to work fast and efficient and to exceed your expectations with the end result! Please contact us today for your free consultation and lets work together in creating your ideal dream home. Kitchen & Bathroom Specialists Infinity Design & Build proudly serves its customers with pride, integrity and by paying attention to the details that matter most to you. These are a few of the many things that set us apart from the rest. We are locally owned and operated. Give us a call today! we do the work ourselves, plan, design and build any project. our goal is to Design Your Dream! we are A full service general remodeling company specializing in kitchens, room additions, bathrooms and complete home remodeling. 12 years designing and managing home improvement projects. specializing in additions, kitchen & bathrooms. Envision Design is a family run business that serves the greater San Diego area, specializing in kitchen and bath remodels. We have performed countless residential kitchen & bathroom remodels throughout San Diego County and take pride in the fact that we treat every project as if it were taking place in our own home.